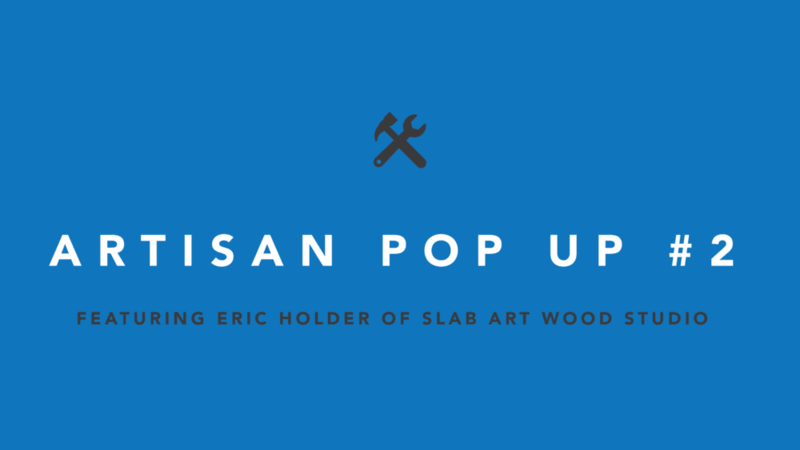 Second Use invites you to join us for the opening our February Artisan Pop Up featuring the work of craftsman Eric Holder of Slab Art Wood Studio on Saturday, February 16th from 4-6 PM at our Seattle store! 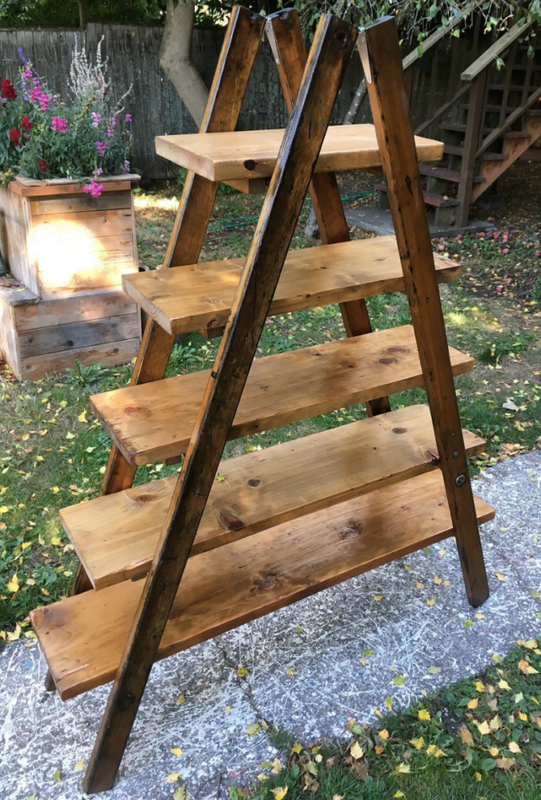 Continue reading for more information and to view samples of Eric’s work! 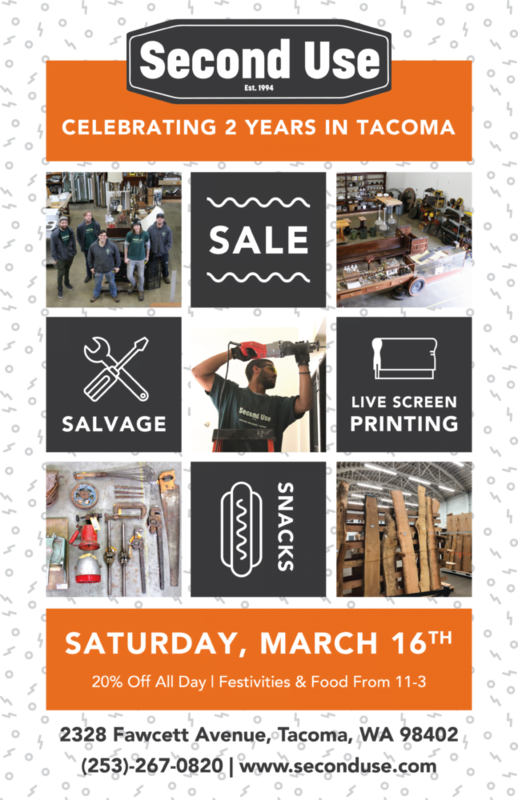 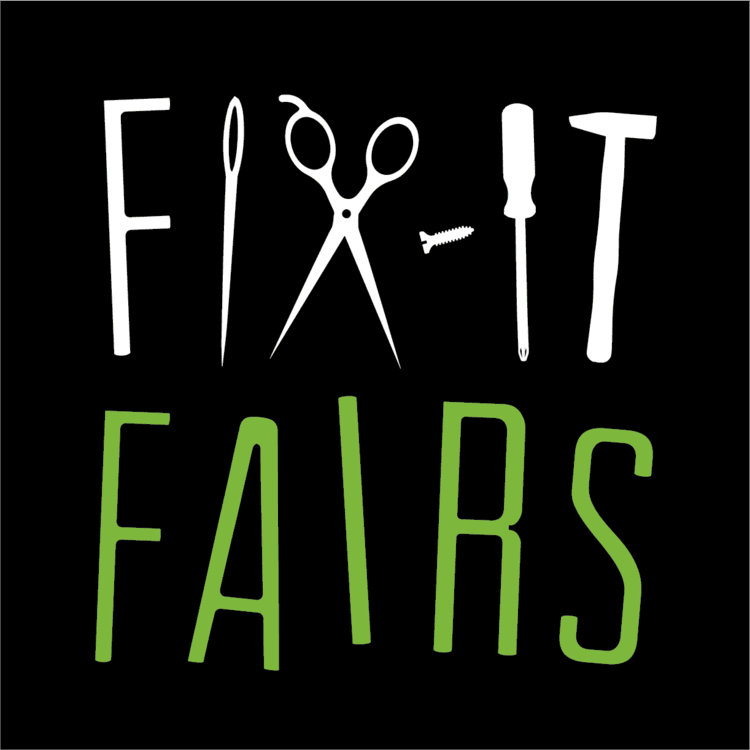 Don’t miss your chance to take a free workshop, shop a Handmade Market, or devour one of our famous free hot dogs in 2019! 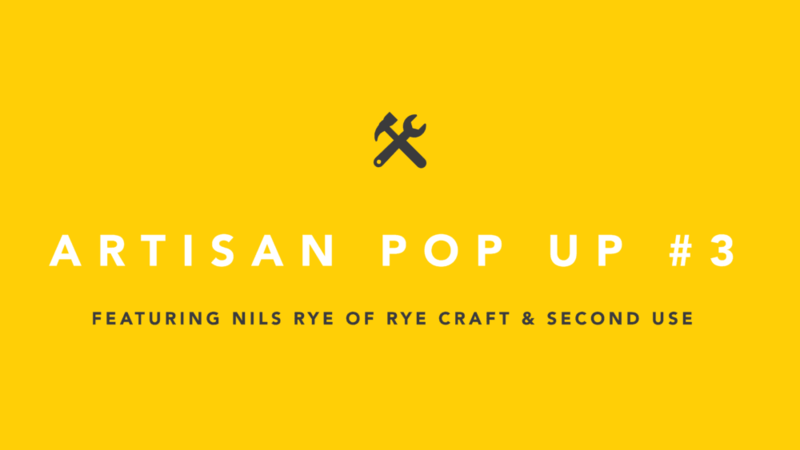 Second Use is pleased to announce our Artisan Pop Up Events Series: a brand new monthly feature designed to showcase the work Seattle’s finest local craftspeople and make their work available through our Seattle location for the duration of the month. 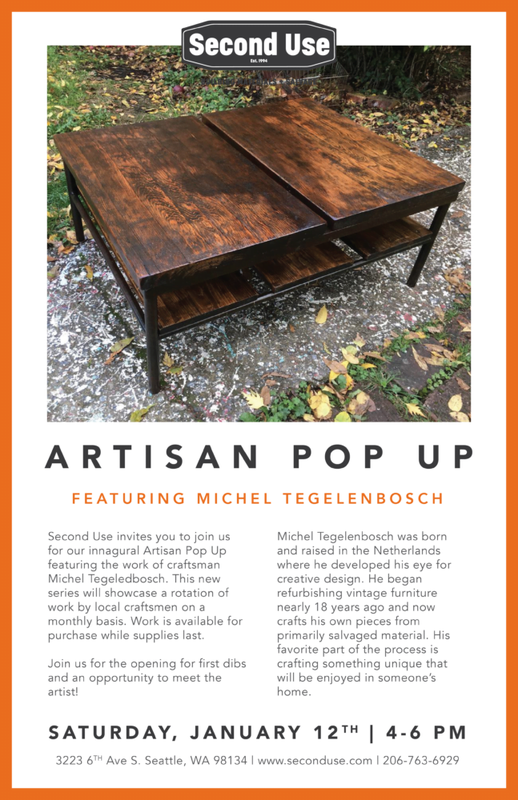 Join Second Use on January 12th from 4-6 for our first ever Artisan Pop Up, featuring the work of Michel Tegelenbosch. 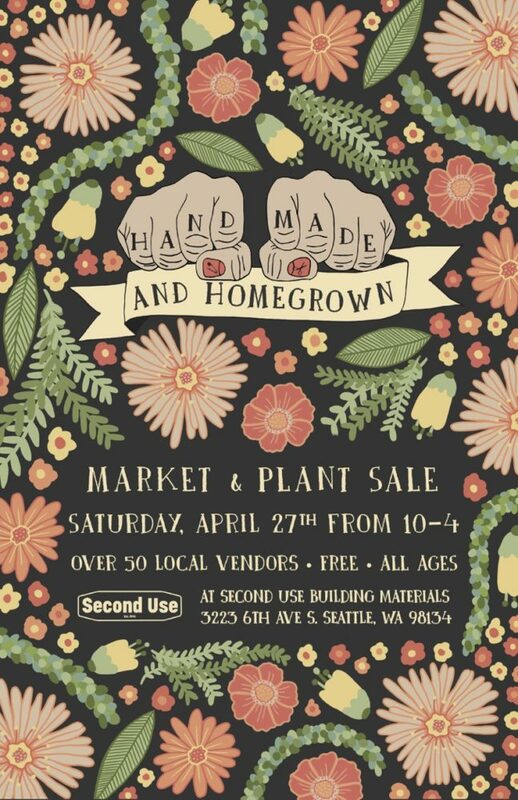 Join Second Use in celebrating our 24th anniversary with our largest party and sale of the year on Saturday, September 15th from 12-6 at the Second Use Seattle Store. 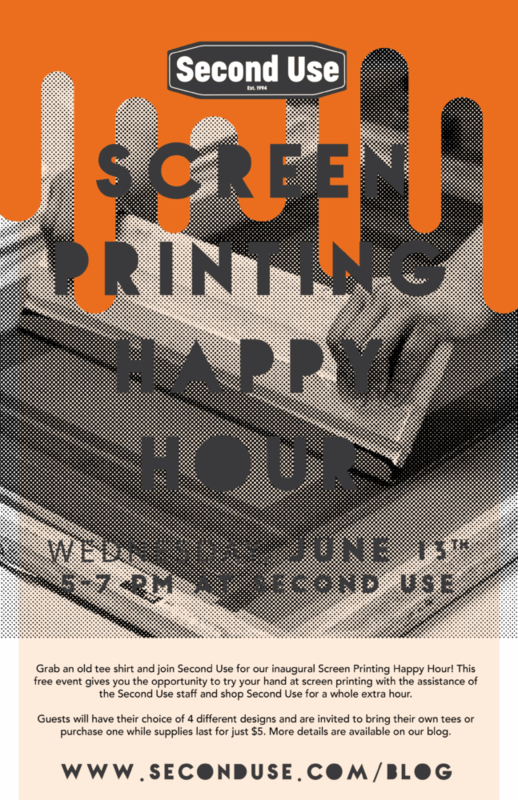 Grab an old tee shirt and join Second Use for our inaugural Screen Printing Happy Hour! 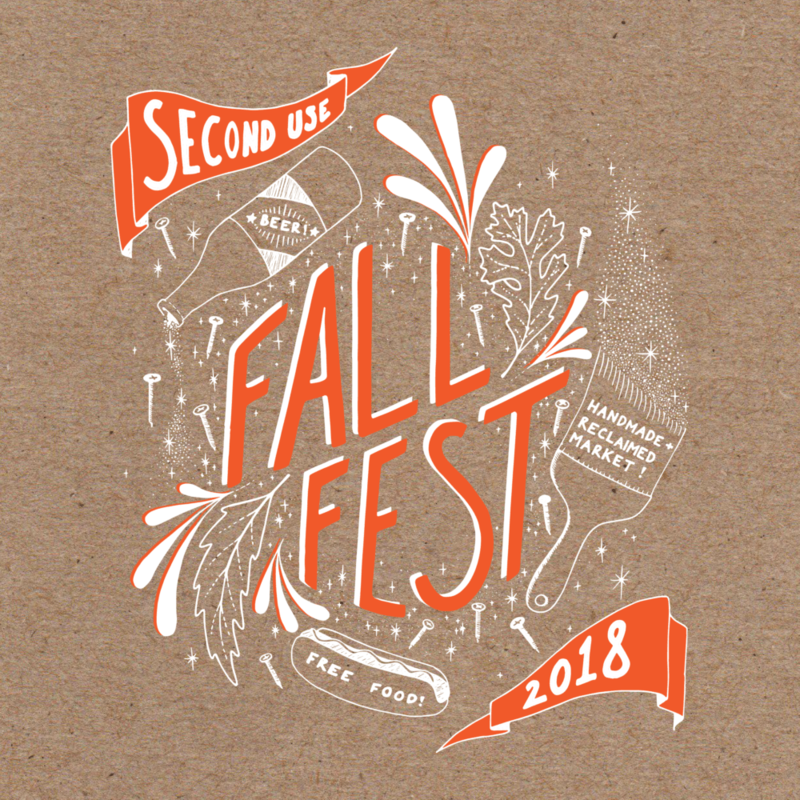 This free event gives you the opportunity to try your hand at screen printing with the assistance of the Second Use staff.